due to the time sensitivity of these sales, i’m popping in a little early this week to bring you a 40% off sale edition of fitting room fables because some some discounts don’t deserve to be missed. 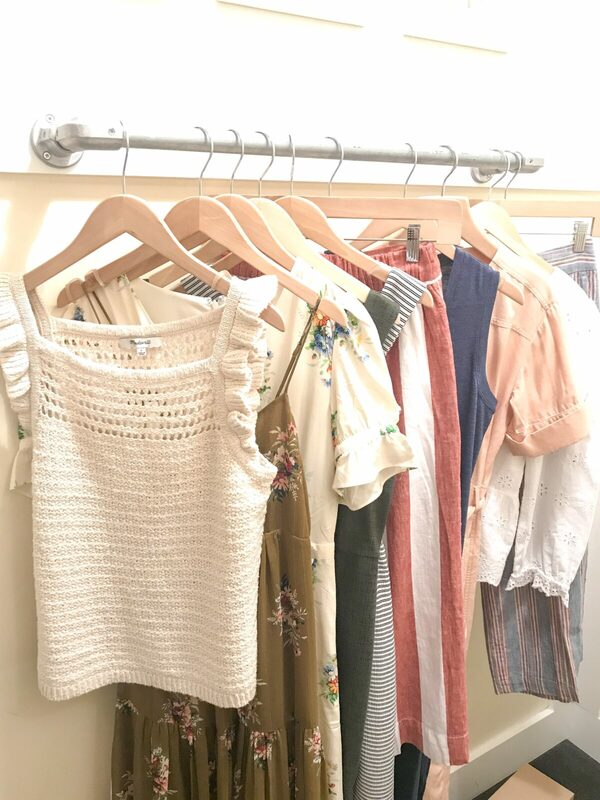 i snuck into anthropologie and loft this afternoon to peruse their sale racks and albeit a small offering, i did manage to try-on some cute pieces that i think would be great additions to any wardrobe. i myself scored this gorgeous striped midi dress which i can’t wait to style for a future post but i’m definitely re-thinking this gingham cutie, too. as always below are my honest opinions, some styling options, and my sizing for reference. these sales won’t last forever so if you’re interested in anything, i’d act quickly! 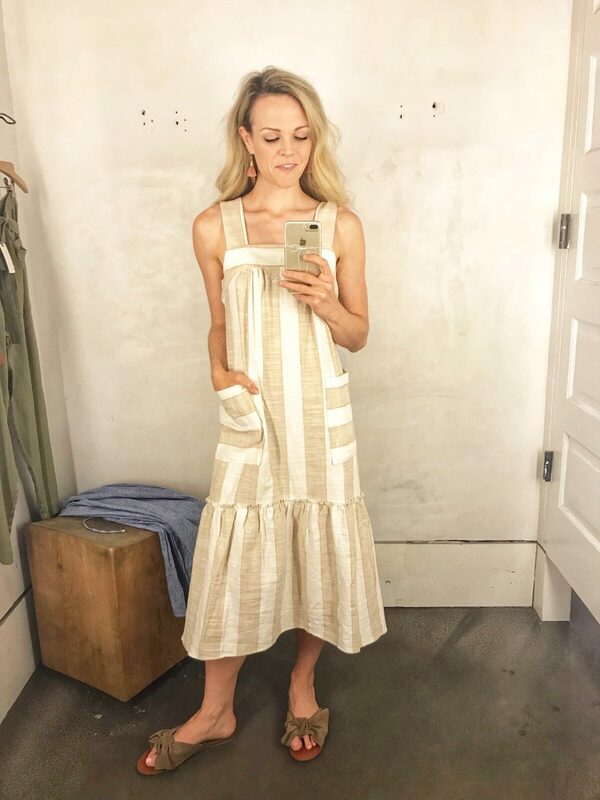 maeve tonal striped dress (xs) || true story, i spied this dress all the way from the parking lot. like a beacon of light, it called to me from the sales rack that was positioned outside our local anthropologie. when i examined it from closer range, i learned that it was the only one of its kind and it was in my size. kismet? i think so. given my love for neutrals, i was immediately drawn to its muted stripes (though it also comes in red!) and the ruffle detail along the midi-lengthed hem. important to note -it lacks a zipper or button closure, so it’s one of those dresses you either have to shimmy into or pull over your head. i chose the former and was relieved to learn that it fit like a glove (it’s a tad bit big in the bust but i wasn’t wearing a bra, so i’m assuming it’ll fit better once i pair it with the proper undergarments). it’s a heavier knit, almost a tweed-like fabric, which means you could probably get away with wearing it into fall with a light jacket and heeled bootie. for now, i’ll pair it with my ankle-strap sandals or lace-up espadrilles, and a big straw hat (obviously). size verdict: while some reviews on anthropologie’s website said it ran small, i found it to fit pretty true to size (but then again, i have a tiny bust). moth miami stiched pullover (xs) || i find myself gravitating toward looser knits lately and for that reason i was intrigued by this short-sleeve marled sweater. while it’s too hot to wear now, it would be a great transitional piece for fall, perfect for pairing with wide-leg or skinny denim or even a leather legging and d’orsay flats. i will say that the fabric is a bit delicate as the particular sweater i tried on was already coming apart along the shoulder hem, but if you were careful, it would be the kind of knit that you’d come back to season after season. size verdict: stay in your normal size for a closer fit, size up if you want a more relaxed fit. dolan left coast northwestern joggers (xs) || i love myself a good jogger, especially in a lux-looking fabric since they can be dressed up or down. though these are rayon, they almost read like silk, making them great for pairing with pumps and a feminine blouse for the office. on the flip side, they’re also versatile enough to be paired with sneakers and a simple tee for a casual weekend look. in addition to this olive color (which is appropriately called “guacamole”), they also come in gold, brown, and grey. 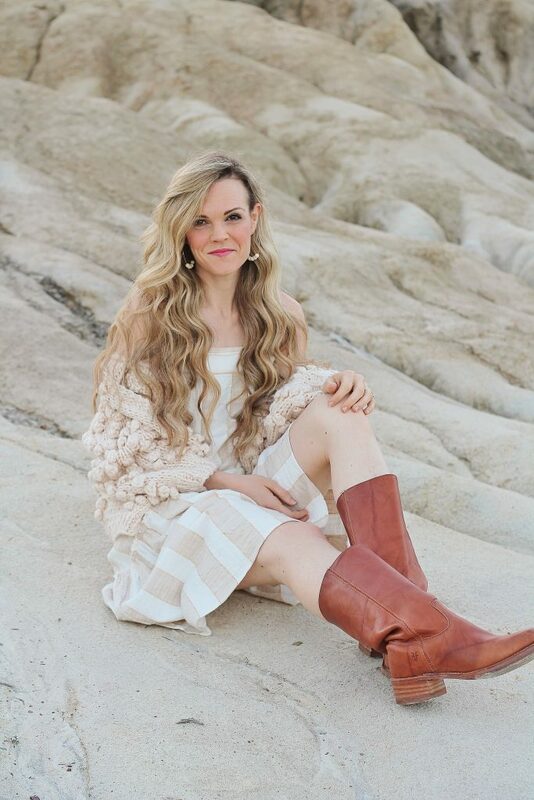 currently on sale for under $80.00, they’re a great piece to add to both your summer and fall wardrobes. i also love the waist-tie detail and the fact that they have pockets. i personally didn’t love the tapered leg on me, but otherwise, they were pretty perfect! size verdict: true to size. 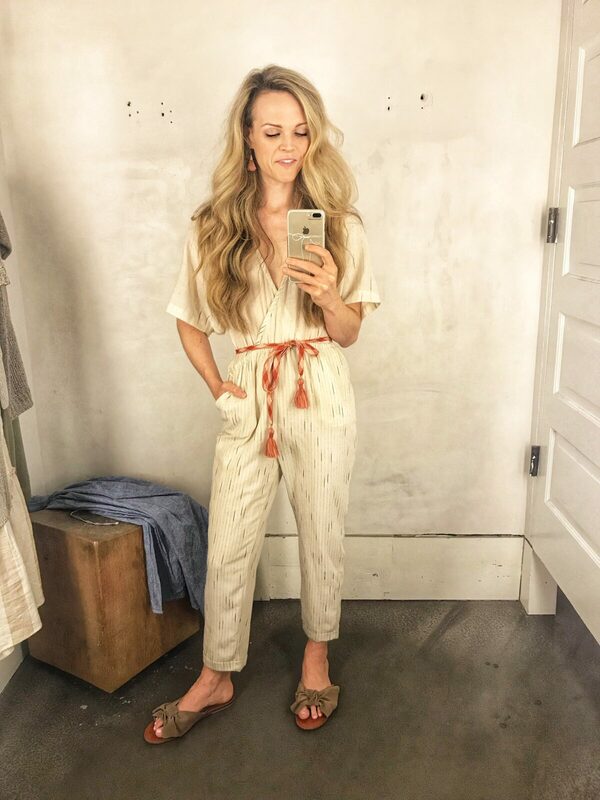 featherbone soleil belted jumpsuit (xs) || i’d like to say i’ve never met a jumpsuit i didn’t love, but i may have just found the exception. this one just didn’t work on my longer torso and to be honest, i wasn’t a huge fan of the fabric, either. 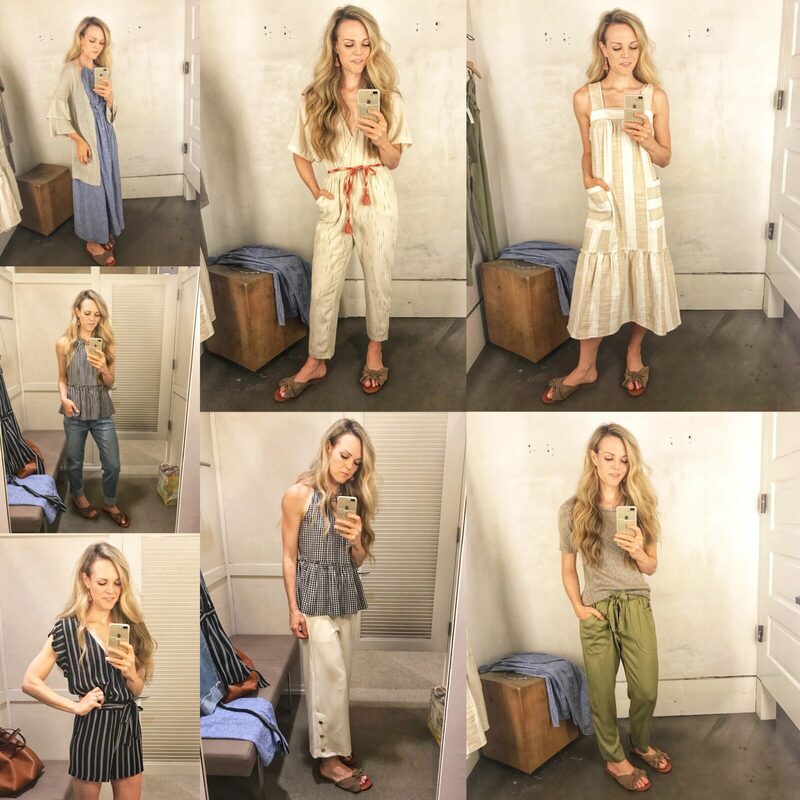 if you’re on the more petite side, it may be better suited for you, but even so, i just think it’s a miss on anthropologie’s part in general (it has a 3/5 rating on their website so i must not be alone in my disappointment). which is probably why it’s on sale in the first place. also the red belt is a strange choice and only makes me feel like i’m getting ready to run with the bulls. size verdict: true to size but not for long-waisted gals. muche et muchette kimono (one size) || this piece is a little out-of-the-box for me, but i was pleasantly surprised by how much i liked it once i had it on. it’s kind of a mesh fabric with a tiered sleeve that almost reads silver though i’d more realistically classify it as grey. given how thin it is, it’s not much of a practical piece, rather it would be worn more as a statement to dress up an otherwise simple outfit (would be cute with a simple camisole and jeans) or as a cover-up over a cocktail dress. ultimately i couldn’t justify a place for it in my closet, but that doesn’t take away the fact that it’s a great sale find. size verdict: it’s one size fits all! striped tie waist wrap romper (xs) || oh rompers, how i can’t seem to quit thee. though to be honest, i just sold back two to my favorite consignment shop because at the age of 33, i feel like a longer hemline better suits me. which is a great way to transition to the fact that this striped cutie was simply too short for yours truly. 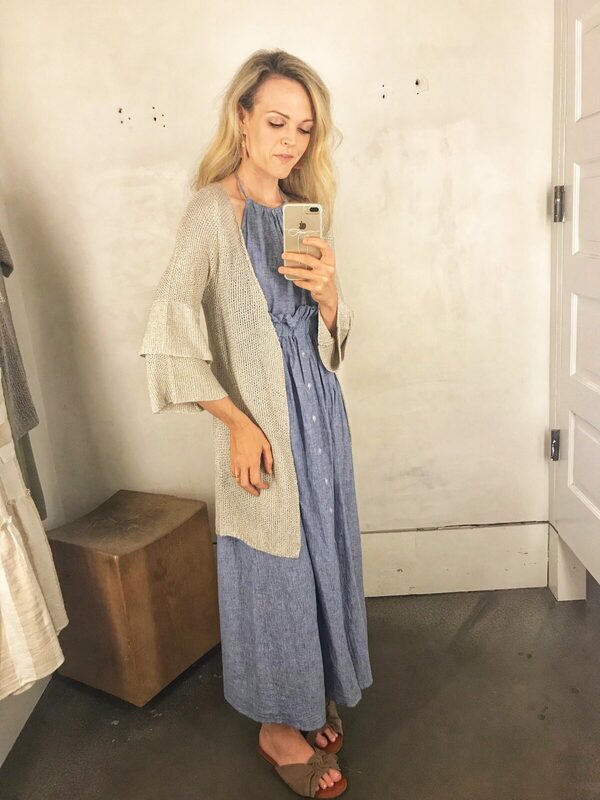 i have actually seen this style on one of my favorite bloggers and fell in love with it, but she’s about six inches shorter than me and now i understand why it looks much more flattering on her than it did me. strangely the top of this one was quite gappy while the bottom half fit more snug. coupled with the jumpsuit travesty at anthropologie, i don’t think it was a good day for me and one pieces. on a positive note, i did notice a little snap at lowest point of the v-neck which was a thoughtful detail to keep the top from exposing too much decollete. size verdict: true to size but best suited for someone under 5′ 5″. 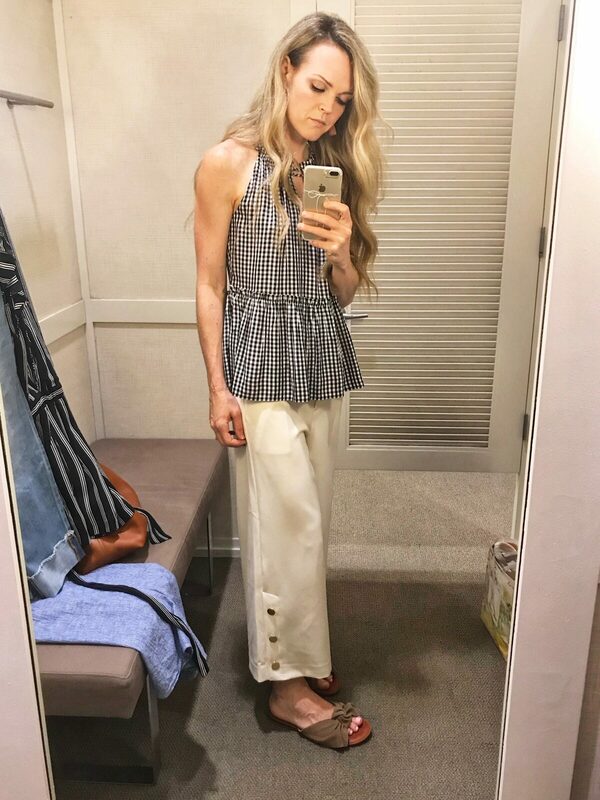 gingham peplum halter cami (xs) || with still plenty of summer to be had, it’s not to late to snag something in this season’s quintessential fabric -gingham. i really have nothing bad to say about this peplum cami. so much so i’m regretting not taking it home with me. this tank could be worn a zillion different ways -with everything from skinny jeans to denim shorts (or skirt!) to even black pants for the office. the higher-neckline is great for those concerned with too much sun exposure and the peplum hemline is flattering on nearly everyone -especially those in their first trimester of pregnancy (when the bump isn’t quite out and proud quite yet). boyfriend jeans (26/2) || i realize “boyfriend jeans” are supposed to fit more generously, but these run so big that they were almost comical. i know better than to try-on this style given my poor history with them (they’re always too tight in the thighs and too big in the waist), but i couldn’t resist. 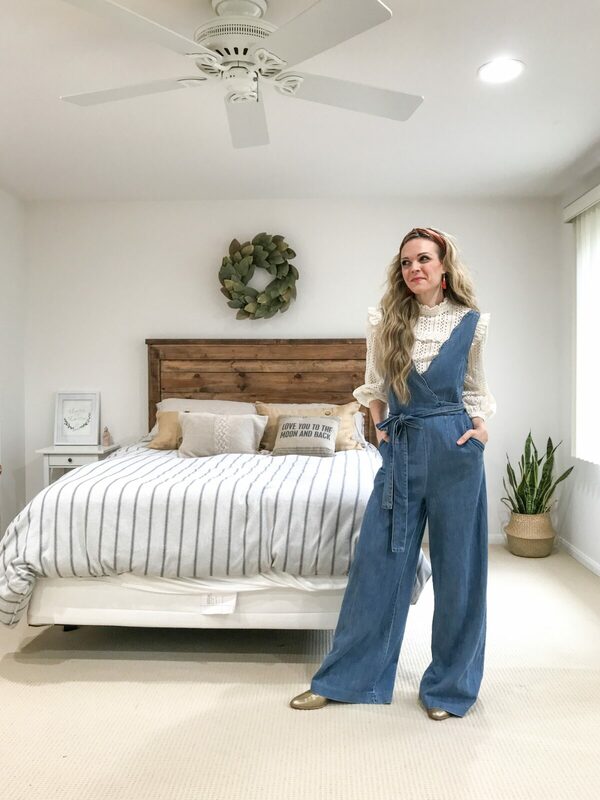 i will say that loft jeans are a great value (at under $80, under $50 with the sale) and are always super soft, but the sizing is always tricky. loft in general tends to run on the bigger side and that can be hard to navigate given the fact that 9/10 jeans with stretch, well, for lack of a better term, stretch out. 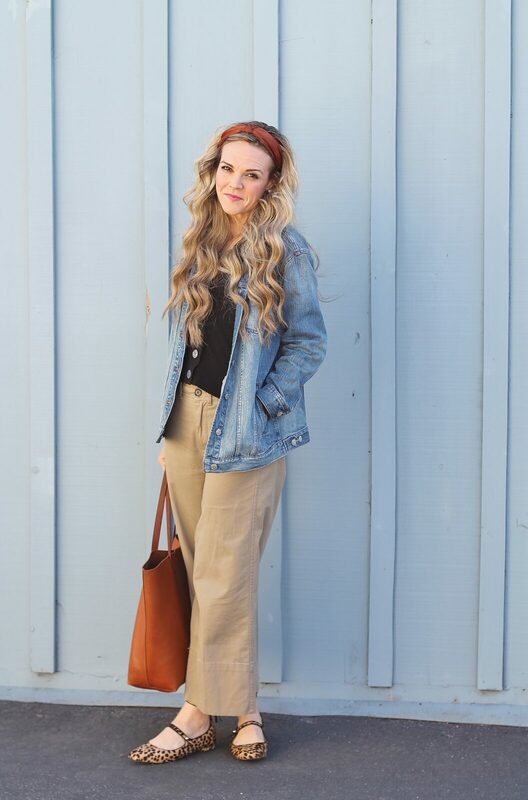 bottom line, i would pass on these boyfriend jeans and opt for another brand instead. size verdict: run big, size down for sure! 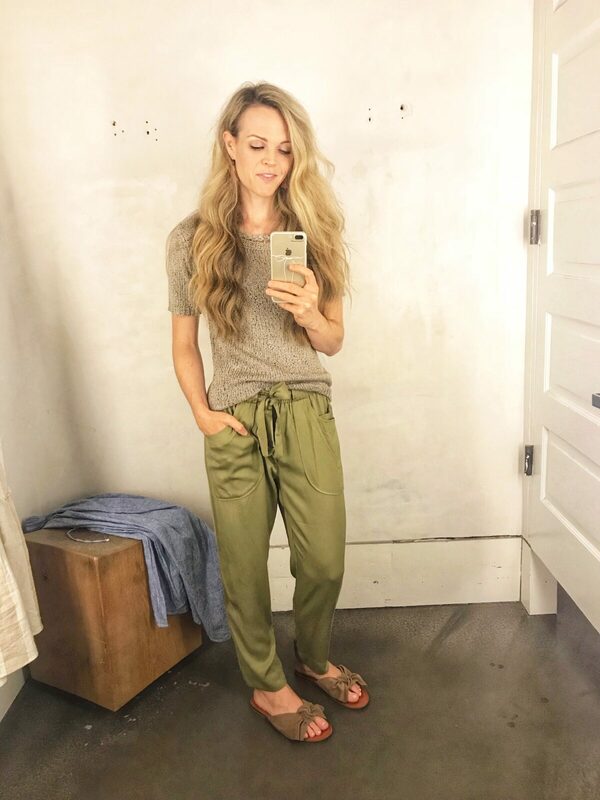 button cuff wide leg crop pants (2) || you know i couldn’t resist trying on a wide leg cropped pant, right? of course not! what i loved about these were both the button detail (a nautical nod without being overtly “sailor-y”) and the heavier fabric making them a perfect summer dress pant for the office. 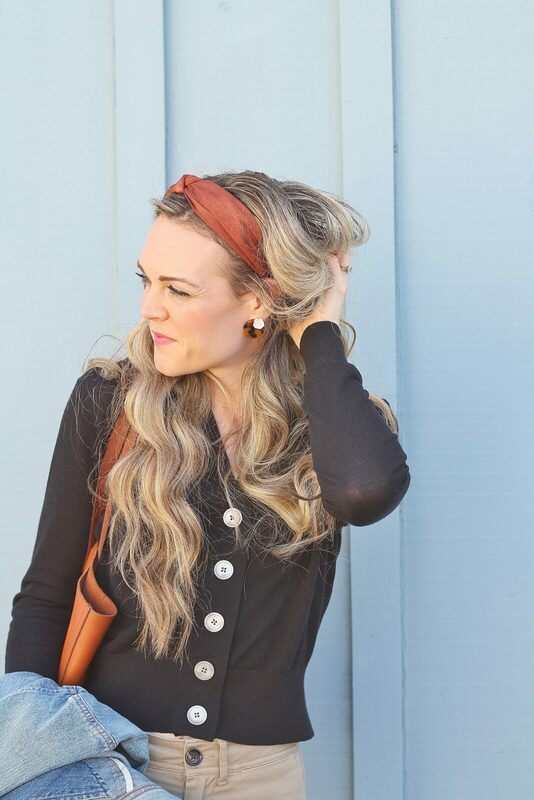 for a french-girl inspired look, i’d pair them with a black silk blouse, patent leather pumps and a red lip. for something a bit more flirty, i’d opt for a floral top and a colorful block heel. size verdict: run big, size down.